The dare says it all. I, personally, have a lot of plastic containers. Someday, when I become a "real person", I will get a beautiful set of glass food storage containers and life will be grand. They will be matching and organized. They'll stack neatly, and I will be able to cook or microwave in them! But for now... I've got plastic. But is that ideal? Probably not, especially microwaving in them. So if you're like me and use plastic storage containers, please be aware of the chemicals they leak into food, and how microwaving can make it worse. First, let's just look at plastic. This material's use in cooking and food preparation has been linked to: hormonal imbalance, various cancers, heart disease, and impaired brain development. 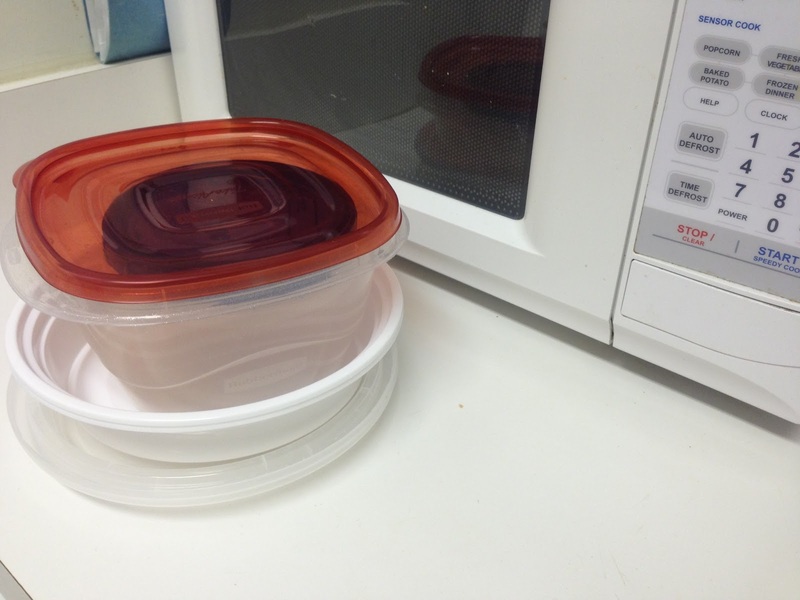 Even before microwaving, these containers can leech estrogenic chemicals in plastic products. Research has found that more than 70% of common plastics released estrogenic compounds, and that number increased to 95% after the material underwent some sort of "stress," such as being run through the dishwasher or being microwaved. Then, when you eat the food or drink the drink from a plastic bottle or container, you are ingesting those hormone-like chemicals. Yikes! Oh, but what about BPA-free plastics, you ask? BPA free is no better! All of the BPA containers tested were found to release similar chemicals, and they may have even had more estrogenic activity than their BPA-containing counterparts. And that's just plastics. What about the microwave? As far as your containers go, "Microwave-safe" only means the product will not MELT in the micrwave, but it says nothing about what happens at the molecular level. The chemical bonds can still be degraded, allowing chemicals to seep into your food. Regardless of your opinion on plastics alone, or microwaves alone, there is wide consensus that combining the two should be avoided at all costs. This past year, I finally officially stopped re-heating my leftovers in their plastic containers. I'm still storing food in plastic until I can get my dream set of glass, but I make a point of transferring the food to a glass plate or bowl before placing in the microwave to nuke it. It's just one more plate to wash, but it's worth the minor inconvenience when I remember all the negative effects correlated with the estrogenic chemicals secreted by the plastic. This is an easy one; it just takes some reminding before it becomes habit. Once you start transferring to glass before heating, it will become second nature and you'll be encouraging others to follow your lead. I made the switch; so can you! I dare you to STOP microwaving plastic. Period. Or, better, ditch the plastic altogether and opt for glass!! 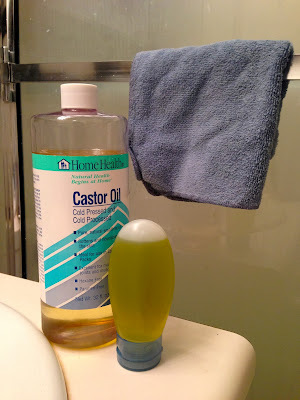 Do you use plastic containers? Do you always transfer the food before microwaving, or will this dare maybe be the push you needed?